School's out in the city!!! Summer is here!!! 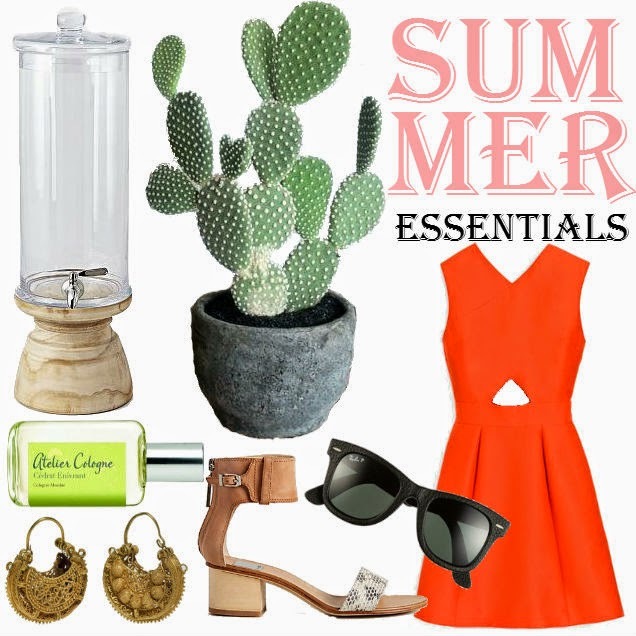 Here's my summer want want want list: Drink dispenser is a must, and this little one is on sale right now at West Elm // cacti are about the only plants I don't kill so I'm just going to go with it, and re-pot my little paddle cactus and see if it will grow into a bigin // I don't think this exact Kate Spade dress is in my future, but I love the little tummy cut out, I have a few boring dresses I think I may try this with // Leather Wayfarers, say no more // Celine ish summer heels // ancient Egyptian inspired earrings // and a new summer smell I love these Atelier smells, this one is super citrus/fresh smelling.